Showa Denko (SDK; TSE:4004) and IBM Japan, Ltd. have jointly developed a "Patent Interpretation Support System," which helps engineers to conduct effective and efficient screening of patent information. SDK will start to utilize this system in the whole company from this July, aiming to help engineers to reduce time spent on comprehension and interpretation of patent information. Showa Denko (SDK; TSE:4004) today held a ceremony for newly-hired employees. At the ceremony, Kohei Morikawa, President and CEO, gave a message as summarized below. Showa Denko resolved at its Board of Directors&apos; meeting held today to make partial revision of its existing director compensation scheme, which is a performance-linked stock compensation scheme called Board Benefit Trust utilizing a trust service. Showa Denko (SDK; TSE:4004) will begin shipment of newly developed 3.5-inch HD media this year based on the Microwave Assisted Magnetic Recording (MAMR) technology for next-generation hard disk drives (HDDs). Showa Denko ("SDK"; TSE:4004), in its 2018 consolidated financial statements announced today, recorded loss due to impairment (extraordinary loss). Showa Denko K.K. (SDK; TSE:4004) today announced its 2018 consolidated financial results. Showa Denko K.K. ("SDK"; TSE:4004) and its subsidiary Showa Denko Packaging Co., Ltd. (SPA) have cooperatively developed next-generation laminate-type heat radiator designed for application to lithium-ion batteries (LIBs) for use in electric vehicles (EVs) whose market is rapidly expanding. 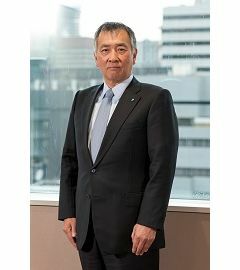 Kohei Morikawa, president and CEO of Showa Denko ("SDK"; TSE:4004) announced the following New Year message. Showa Denko (SDK; TSE:4004) hereby announces that pursuant to Article 156 and Article 165, Paragraph 3 of the Companies Act of Japan, SDK has repurchased its own shares, as outlined below and has completed the repurchase in accordance with the resolutions of its Board of Directors&apos; meeting held on December 11, 2018. 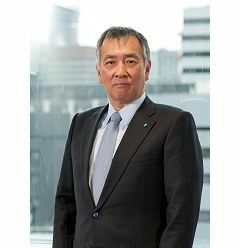 Showa Denko (SDK; TSE:4004) has prepared a new medium-term consolidated business plan, "The TOP 2021," for the 2019-2021 period. Showa Denko (SDK; TSE:4004) hereby announces that the Company has revised its forecast of term-end dividends, as in the table given below. At its Board of Directors&apos; meeting held on December 11, 2018, Showa Denko resolved to repurchase its own shares pursuant to Article 156 and Article 165, Paragraph 3 of the Companies Act of Japan, as outlined below. 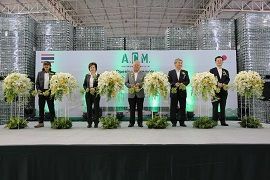 On December 6, 2018, Showa Denko (SDK; TSE:4004), Showa Aluminum Can Corporation (SAC), a consolidated subsidiary of SDK, and Carabao Group PCL (CBG), a leading beverage maker headquartered in Bangkok, jointly held a ceremony for the completion of a new aluminum can factory owned and operated by Asia Can Manufacturing Co., Ltd. (ACM). Showa Denko (SDK; TSE:4004) decided at its Board of Directors meeting today on changes in corporate management. 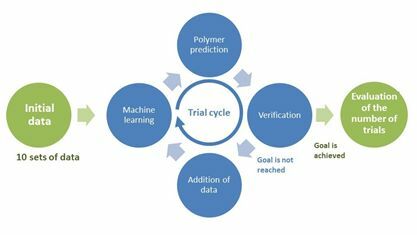 SDK, AIST, and ADMAT have found that the number of trials for the design of polymers with desired properties can be cut to about one-fortieth by utilizing artificial intelligence (AI). Showa Denko (SDK; TSE:4004) has agreed to transfer its business sector which conducts research and development on rare earth magnetic alloys to TDK Corporation (TDK) around the end of January 2019. SDK and TDK concluded a transfer contract today. Showa Denko (SDK; TSE:4004) has completed expansion of the capacity to produce nanoparticle titanium oxide, which has been sold under the trade name of Super-Titania(TM), at its wholly owned subsidiary Showa Denko Ceramics Co., Ltd. headquartered in Shiojiri City, Nagano Prefecture. Super-Titania is used in the production of multilayer ceramic capacitors (MLCCs). Showa Denko K.K. (SDK; TSE:4004) today announced its 3Q 2018 consolidated financial results. Showa Denko K.K. (SDK; TSE:4004) hereby announces that it made an early repayment of JPY 24 billion that it raised in a subordinated loan (the "Subordinated Loan") on April 3, 2014. Showa Denko (SDK; TSE:4004) has developed a new type of Shodex(TM) high-performance liquid chromatography (HPLC) column, namely, "IC SI-36 4D" column for ion chromatography*1 to analyze anions, which is compatible with hydroxide eluents. Showa Denko (SDK ; TSE:4004) hereby announces that there is a difference between the forecast of consolidated financial results for the first half (January 1 - June 30) of 2018 announced on May 9, 2018 and actual financial results for the same period announced today. Showa Denko K.K. ("SDK"; TSE:4004) today announced its 2018 second quarter consolidated financial results. Showa Denko (SDK; TSE:4004) is pleased to announce it has again been included in the FTSE Blossom Japan Index, by FTSE Russel, and the MSCI Japan Empowering Women Index and MSCI Japan ESG Select Leaders Index, compiled by MSCI. The FTSE Group is a subsidiary of the London Stock Exchange Group, while MSCI Inc. is a NYSE-listed provider of indexes and investor tools. Showa Denko K.K. 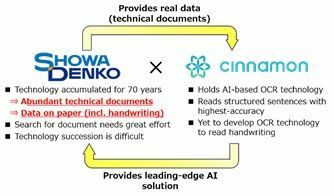 (SDK; TSE:4004) and Cinnamon Inc. (Cinnamon) has decided to jointly develop a database system equipped with artificial intelligence (AI) to utilize technical documents. 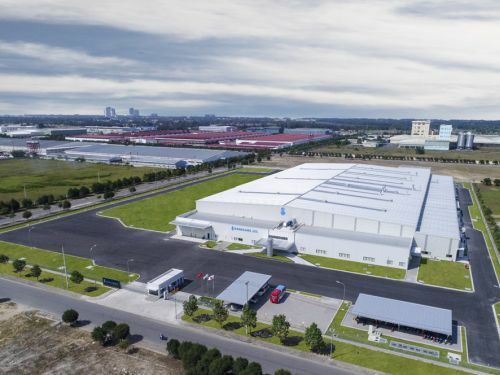 Showa Denko (SDK; TSE:4004) will further expand the production capacity for high-quality-grade silicon carbide (SiC) epitaxial wafers for power semiconductors - marketed as &apos;High-Grade Epi &apos; (HGE) - following the current expansion work on HGE production facilities. Showa Denko (SDK; TSE:4004) consolidated subsidiary Showa Aluminum Can Corporation (SAC), headquartered in Shinagawa, Tokyo, has completed construction of a new factory in Da Nang City, Quang Nam Province, mid-Vietnam, for its subsidiary Hanacans, holding a completion ceremony for the new factory on June 8. Showa Denko (SDK ; TSE:4004) will start to supply &apos;low-carbon&apos; hydrogen gas, made from used plastics (low-carbon hydrogen), as an energy source for fuel cells. 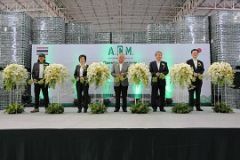 SDK&apos;s Kawasaki Plant will supply &apos;low-carbon&apos; gas to the KAWASAKI KING SKYFRONT TOKYU REI HOTEL, which will open on June 1, 2018. Showa Denko ("SDK"; TSE:4004) hereby announces that the Company has revised its forecast of dividends which was announced on February 14, 2018.